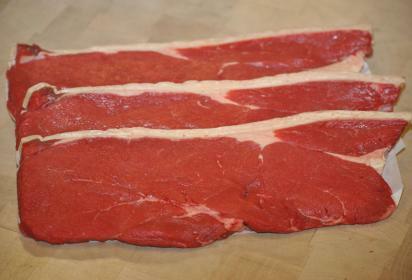 Very versatile steak – can be Pan Fried, Grilled, BBQ’d or cut into strips for tender Beef Stir-fry. These steaks have been expertly cut for you by our butchers. They can be lightly seasoned with salt and pepper. They only require a small amount of cooking on either side. The old Burgundian favourite of Dijon mustard can make a tasty accompaniment.